Thank you Shape Mags for sponsoring this post. As always, all opinions are mine alone. Kids amaze me because what their tiny minds are capable of is astounding. One of my children in particular is quite the inventor. He can take the most random odds-and-ends from around our house or yard and deconstruct, build, and ultimately wield them into newfangled, handy devices in no time at all. When I trip over his latest inventions strewn across our yard, I remind myself that these contraptions are symbols of the accomplishments that are sure to come for my inquisitive little boy. Since he is so imaginative and such a little smarty pants, he greatly enjoys building blocks of all kinds. This love of his is what led me to look into Shape Mags: Magnetic Stick N’ Stack tiles. 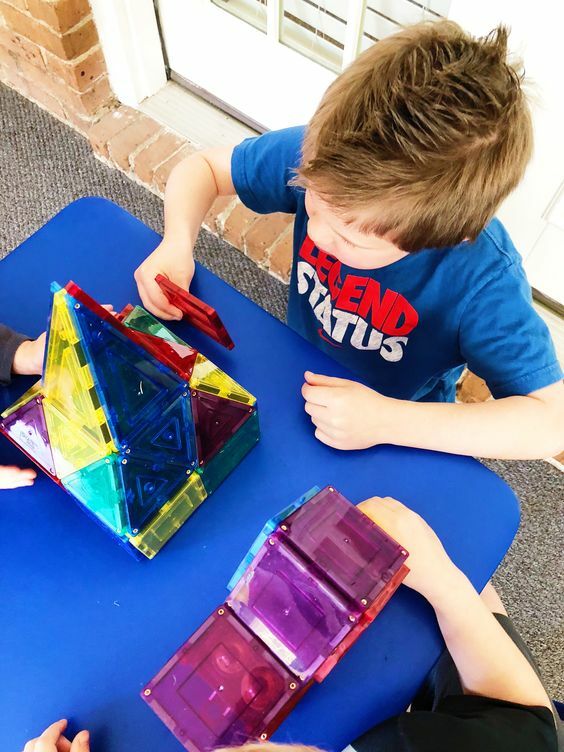 So far, I am impressed with the quality of these magnetic toys and have observed first-hand how they have allowed my children’s minds to be stretched and creatively exercised. Unlike other types of blocks that click into place one way, these Shape Mags can attach from different angles, allowing more room for creativity. The magnetic pieces can be aligned horizontally or vertically and can even move back-and-forth, opening up plenty of room for ideas to flow. I was impressed with the vast array of creations my children built with these simple magnets. 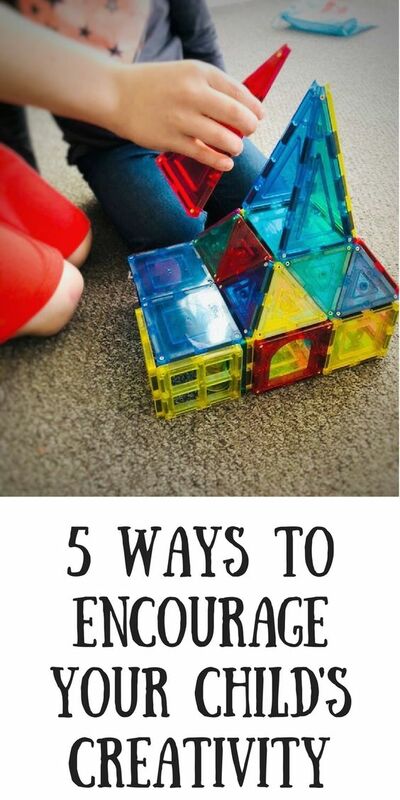 When building with Shape Mags, there is no right or wrong way to build… no set directions. Having directions to follow is good, but sometimes, no directions can benefit our children as well. 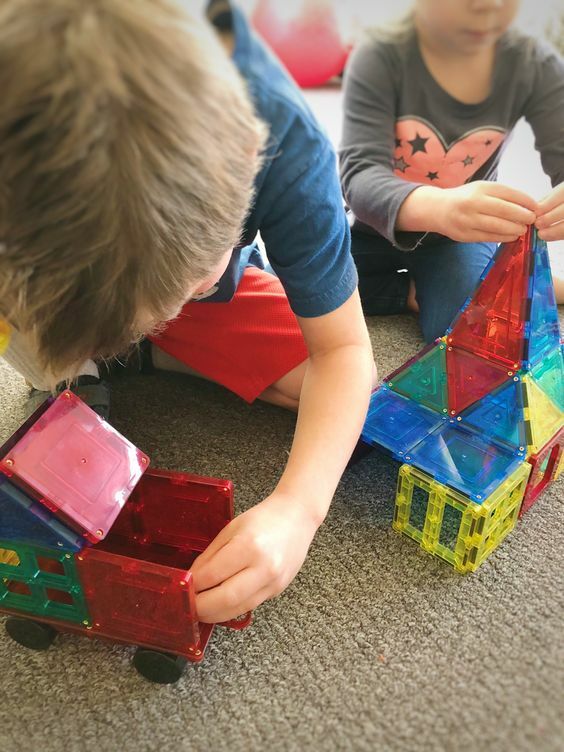 They can use their problem-solving skills to decide the best way to construct their car, building, or tool and be so much prouder of themselves when they have completed their creation. My heart just explodes when my children squeal with delight exclaiming, “Mama, Mama, look what I made!” Their confidence gets a boost while their minds are stretched. The vibrant array of colors of Shape Mags brings endless, creative possibilities. Plus, for toddler aged children, this is one more fun way for them to become familiar with their colors. On top of being colorful, the tiles reflect light, making these colorful pieces even more attractive for young hands and minds. The creativity does not have to end at the house. These tiles are great for keeping impatient children occupied while traveling. All you need is a flat piece of metal so that the magnetic tiles won’t topple to the floor. A cookie sheet will do! I discovered this hack from two of my favorite blogger moms: Nicole Banuelos and Jacki Quinones. 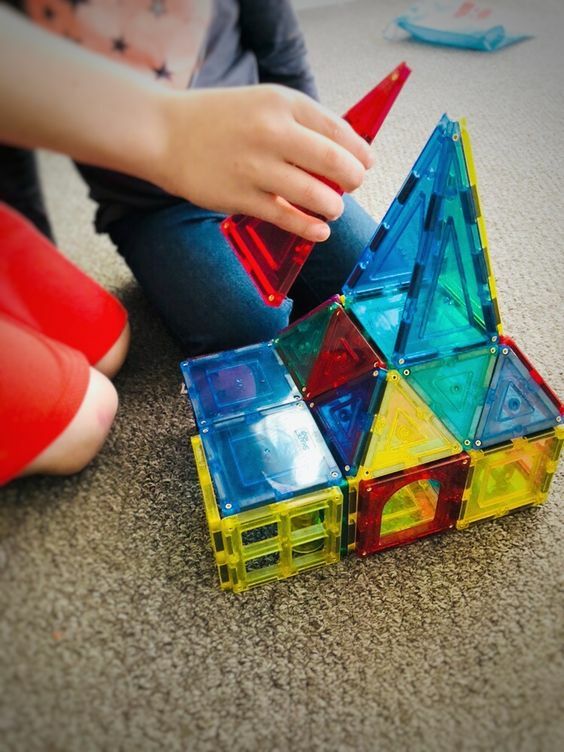 For our little engineers and builders, Shape Mags allows them to perfect their craft now. Kids are like sponges, soaking in everything they see and experience. These tiles encourage the growth of my children’s ability to think outside the box. What more would I want for them? I desire to see them strengthen their talents while they are at their most moldable age. If you have tiny future engineers, I highly suggest gifting them their own Shape Mags. After all, there is nothing better than fun and learning combined! LOVE mag tiles. 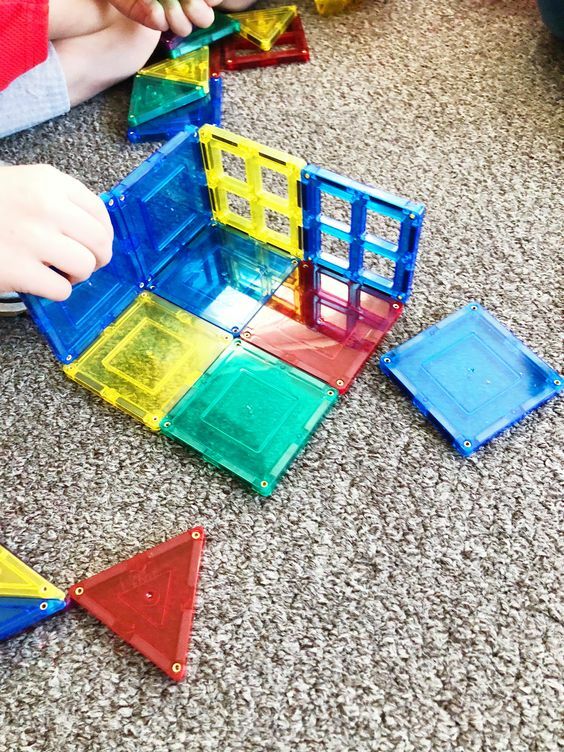 My kids can seriously spend hours in creative play with these. I recommend this toy to everyone. My kids spend hours with them too! 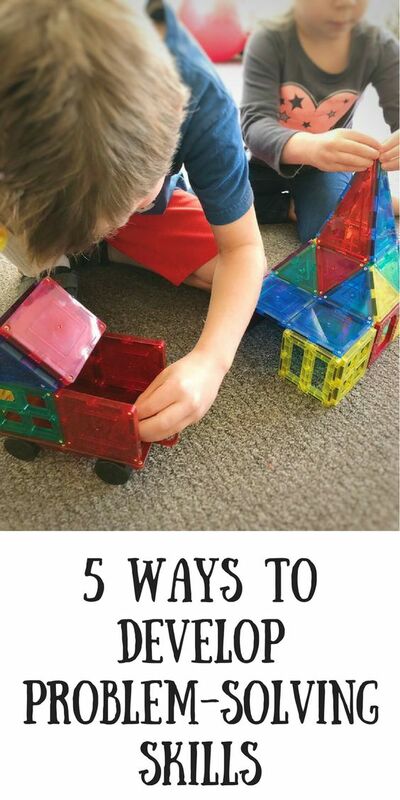 These are so fun, and a great educational toy! My girls are obsessed with these! I buy more every time they are on sale! I think I will be the same now! Could I please get a price? Hi Patti! The prices vary depending on the set purchased. If you click on the links provided, you’ll be able to search around. Several sets are on Amazon which is super convenient!